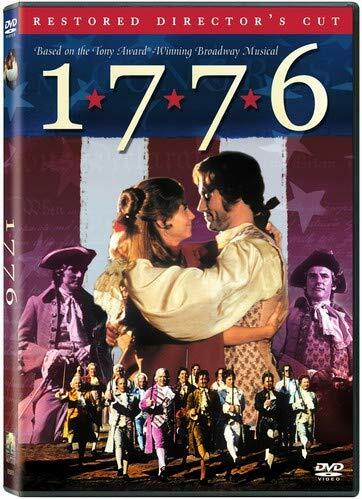 In the Broadway musical and the film 1776, based on the writing of the Declaration of Independence by Thomas Jefferson, Mrs. Jefferson sings of a special reason she is attracted to Thomas. Can You Guess just what makes Thomas so attractive to Mrs. Jefferson? 1776 - In Philadelphia, PA, the representatives of the 13 colonies adopted the Declaration of Independence declaring themselves independent from the rule of Great Britain. 1828 - The U.S. Marine Corps Band performs Hail to the Chief for the first time for a living President at ground-breaking ceremonies for the Chesapeake and Ohio Canal, attended by President John Quincy Adams. 1986 - US Marine Corps Band performed for the rededication of the Statue of Liberty, recreating the band's performance under John Philip Sousa for the original dedication ceremonies 100 years before in NYC. 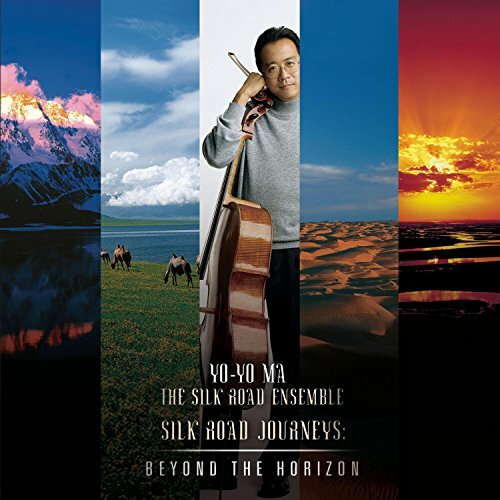 The world premiere of the complete Symphony 1997 (Heaven Earth Mankind) took place in Hong Kong on July 4, 1997, with cellist Yo-Yo Ma, the Hong Kong Philharmonic and Asian Youth Orchestra, the Imperial Bells Ensemble, and Yips' Children's Choir, with Tan Dun (the composer) conducting. See the DVD at Amazon! With Blythe Danner's GREAT Performance of He Plays the Violin. 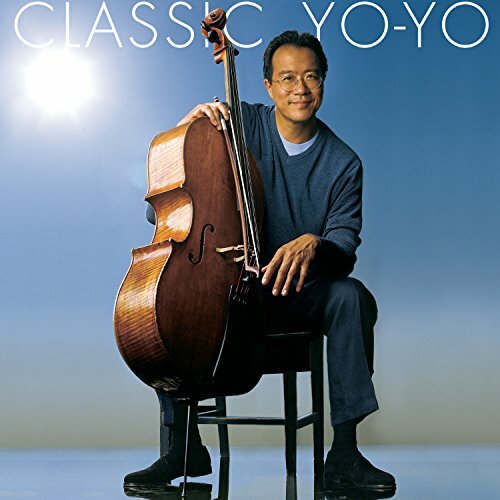 Yo-Yo Ma was born October 7, 1955 to Chinese parents living in Paris, he began playing the cello when he was just four years old. He later studied with Janos Scholz. In 1962 he also became the pupil of Leonard Rose at the Juilliard School of Music in New York City. When his was just 15, he gained international attention when Leonard Bernstein presented him on a televised fundraising event for the Kennedy Center. 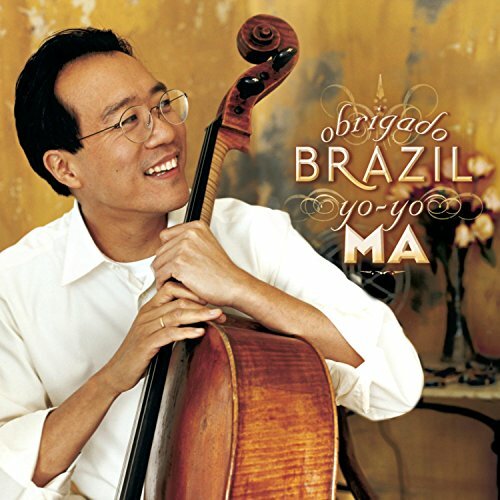 Since that time Yo-Yo Ma has recorded more than 50 albums ranging from Bach's Cello Suites to his Brazilian music crossover album. 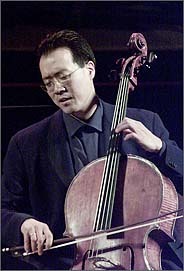 He has performed with many of the world's leading orchestras including the New York Philharmonic, the London Symphony Orchestra, and the Berlin Philharmonic. "I still have to find motivation to practice sometimes. There are a couple of answers. One general thing I say to myself is: 'Don't ever play a note on an instrument until you want to hear something.' You may have just heard a tune, and you want to play it on your instrument or sing it. I think setting small goals are extremely important, goals that can actually be accomplished. Reducing frustration is good, while trying to also acknowledge that there are long-term goals. Playing for and with friends is, I think, a very important motivator, after a certain age."